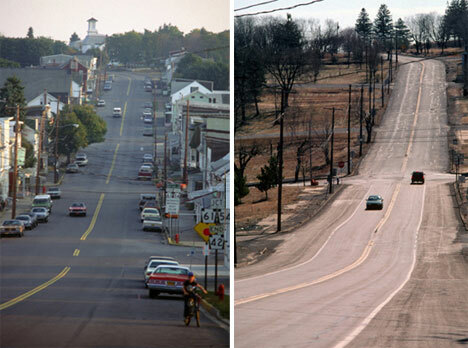 Well it’s Wednesday again, and we have collected some neat, wild, weird, and awe inspiring shots to help you pass the day. This is the city of Centralia, Pennsylvania, at one time it was a flourishing mining town, but once a mine fire began decades ago it never went out and the citizens moved on except the hardy. The fires are still burning underground and the ground has a tendency to open up and consume whatever it is in its path. 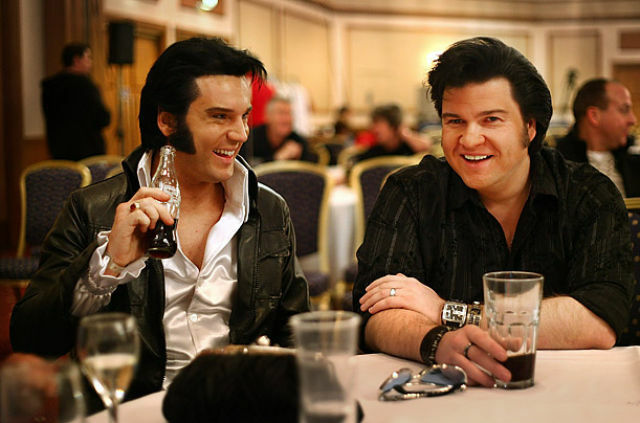 Two Elvis look alikes share a coke and a smile as they have a bit to eat during the European Elvis Championships at the Hilton Hotel in Birmingham, England. The winner of this contest will go on to the International Elvis Tribute Artist Contest in Memphis Tennessee. 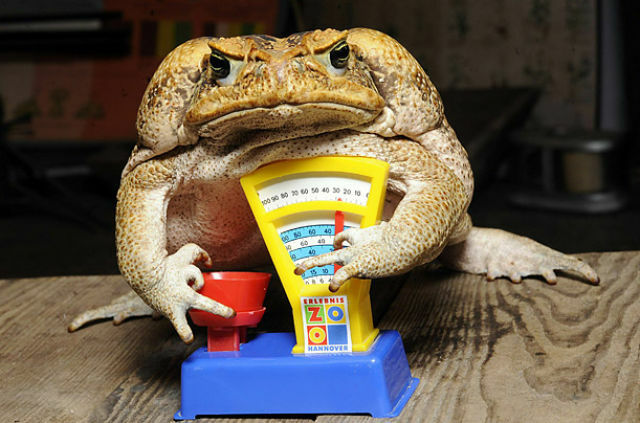 This fine heavy weight toad champ is Agathe and he sits on a toy scale during an inventory at the zoo in Germany. I think he might need to get on Toad Watchers and slim down a bit. It isn't Halloween and he isn't a robber. 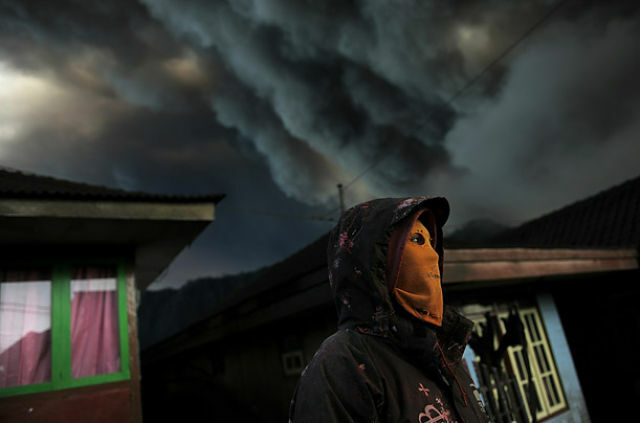 He is just protecting his face from all the ash that is falling from the eruption of Mount Brono in the village of Cemoro Lawang near the Indonesia Java Island. 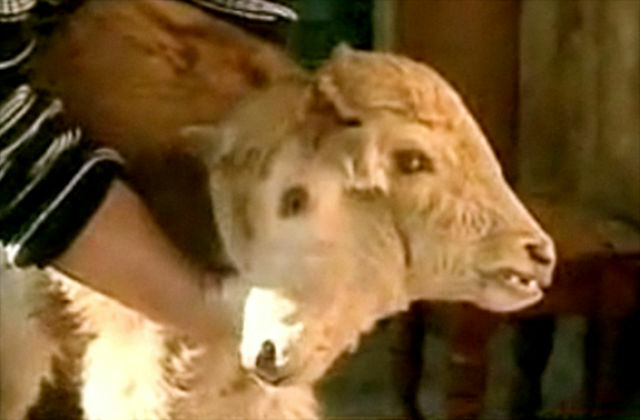 This is a jaw dropper, a calf that has two heads, three ears, and two mouths. It isn't clear yet if the calf will live, but agriculture specialists say that if the calf can eat from both mouths and breath she should live. 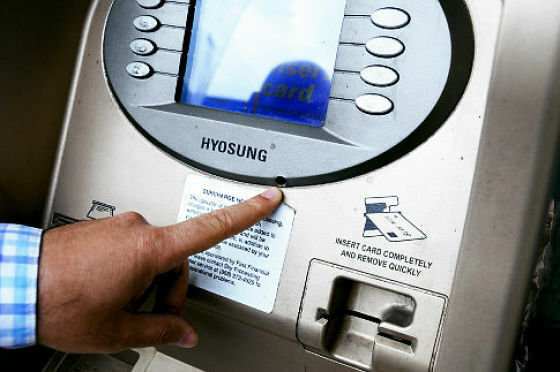 A new study has shown that atms can be as dirty as public toilets. They can carry pseudomonads and bacillus which cause serious stomach distress. This young man has seen snow only one other time in his life living in Orlando, Florida. He takes time to make snowballs and juggle them as the snow continues to fall. 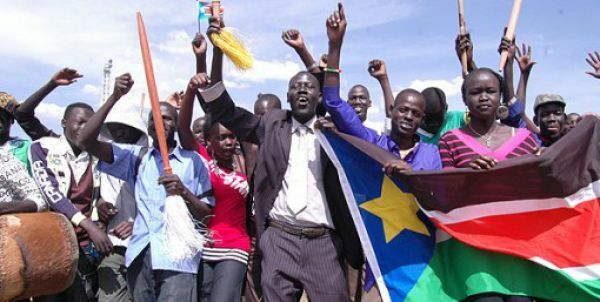 Thousands of south Sudanese have turned out to vote on the 2nd day of the referendum on independence. There are huge lines waiting outside the polling stations for their turn to vote in this important election which would allow Kenya to separate from the Khartoum government. 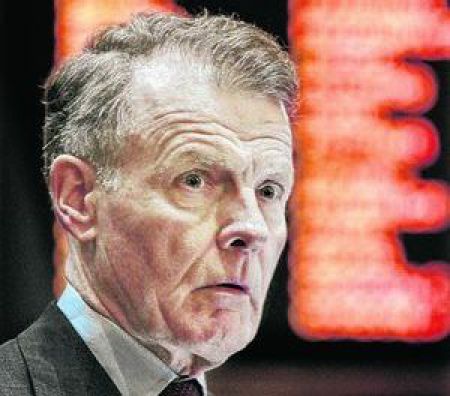 Illinois passed a 66% state income tax hike. If this guy looks shocked wait until the residents of Ill. Realize they are going to have a lot more taxes to pay. The huge hike will help bail the state out of a 15 BILLION dollar budget deficit. Kenya separating itself from Khartoum in an ongoing referendum in Sudan....Well I have heard some $hit in my days, but this is ridiculous, how about some proofreading and geography lessons?!?!? I'll even do it for free.